The Jimtof Machine Tool show will be held in Tokyo between October 30th and November 4th. Fagor Automation will attend through its official distributor Captain Industries Inc. Captain, supplier of components for the Machine Tool sector is a company with over 40 years of experience in the sector and has been representing Fagor Automation in the country of the rising sun since 2012. The 27th edition comes with great optimism in the sector in the Asian country after several months of steady growth in terms of purchase orders for the main Japanese Machine Tool manufacturers. The devaluation of the yen in mid 2013 was a key point for Japanese manufacturers who have seen how their products were now more competitive against manufacturers of nearby countries like Taiwan, South Korea, etc. Let’s remember that Japan is the second producer of Machine Tools in the world after China and ahead of Germany and South Korea. They have kept their leadership in recent years. On the other hand, Japan is the first exporter in the world (63% of their total production is for foreign consumption) and the third consumer of Machine Tool in the world. Among the 150 main Machine Tool manufacturers in the world, Japan is the leader, with 26% of the total. 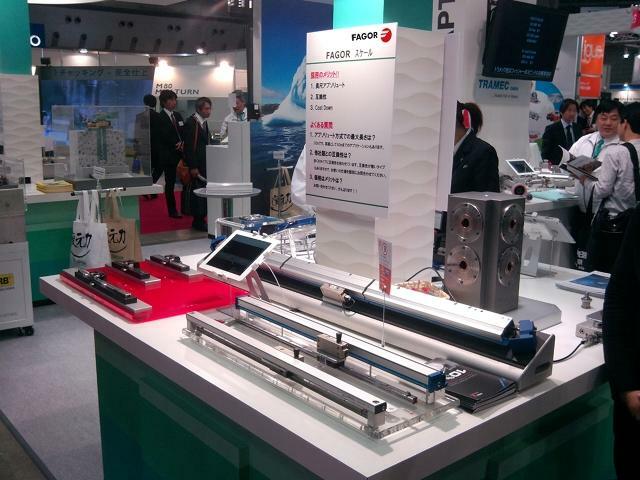 At the show, Fagor Automation will present its ample catalog of linear and angular encoders with special emphasis on absolute protocols on enclosed as well as exposed models.